iPhone X will use Xiaomi "Hunger marketing"
Shortages of Apple’s new iPhone X could linger on for up to six months, analysts say, and this could create both benefits and risks for Apple. “We believe the fullscreen design and facial recognition features will drive replacement demand for the iPhone X,” Kuo explains. But “due to supply constraints,” he adds, it’s unlikely demand will match supply until 2018. Kuo says he anticipates Apple will ship around 40 million iPhone X units before the end of the fiscal year, and as many as 90 million in 2018. Apple’s move to push the iPhone X preorder and ship date to late October and early November respectively is likely to prevent the cannibalization of iPhone 8 and iPhone 8 Plus sales. Both of those phones, preorders of which went live early this morning, are acting effectively as iPhone 7S upgrades to last year’s standard 7 model. Apple faces some real risk by asking buyers to wait for weeks or months to get a new X, which sells for $999 for the 64GB version. “There’s a possibility that people who want an OLED screen will see that Samsung can offer that same technology for less money, and it’s available today.” Moorhead said. He points out that Samsung Galaxy S8, Galaxy S8 Plus, and Galaxy Note 8 all have edge-to-edge OLED displays. 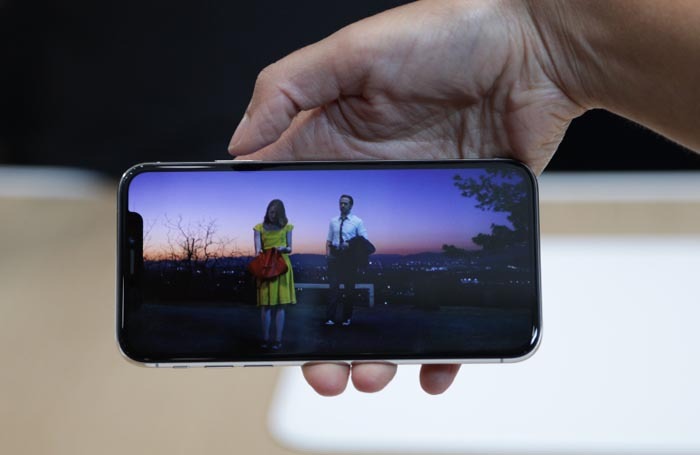 Actually, it’s Samsung that supplies the OLED displays for the iPhone X.
Apple sweetened the iPhone 8 and 8 Plus deal by adding some compelling new features. The phones have glass on the front and back, they support wireless charging, and the Plus model has dual cameras with the new Portrait lighting modes. On the other hand, he adds, the iPhone X delays could, for a certain class of buyer, make the phone seem even more desirable. Goodstein says it could make the iPhone X look like a scarce or rare thing that not everyone can get. This is the apple learning Xiaomi using “hungry marketing”, thus raising the price.